"Noah, Eric and the crew were terrific from beginning to end. Everyone was very professional and all of the work was done perfect. Great Job!" They include the best cast-iron sump pumps and battery backup pumps in the industry. 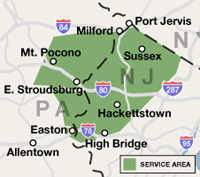 Century Waterproofing has been serving Northwestern NJ & Eastern PA since 1996! Century Masonry and Waterproofing is the authorized Basement Systems dealer in Northwestern New Jersey and Northeastern Pennsylvania. We offer common sense solutions for basement and crawl space water and moisture problems. Century Masonry and Waterproofing is part of the world's largest basement waterproofing company. Our basement waterproofing jobs with perimeter drainage systems come with a lifetime warranty and your peace of mind. Read more on Wet Basements in NJ and Northeast PA.
What you need to know about your Crawl Space Century Masonry and Waterproofing can solve a wide variety of problems in your crawl space that can affect your entire home. Call now for a free inspection and estimate! Century Masonry and Waterproofing has been solving basement water problems since 1996. With the help of Basement Systems, the world's largest basement waterproofing network, Century Masonry and Waterproofing is the authority in basement waterproofing in this region. If you have basement wall cracks, leaks, moisture problems, or any basement related issues, contact us for free consultations. Century Masonry and Waterproofing has earned a A+ rating from the Better Business Bureau. This is the top rating possible for a basement/crawl space waterproofing company and we're very proud of it. Over the years we have done several high profile jobs including Morris County YMCA, Lakeland Bank, Great Gorge Village, Crystal Springs Resort, Condominium Complexes: Rolling Hills and Heritage Lakes. 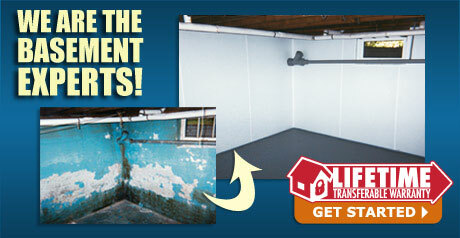 We will dry your basement and help keep you dry all the time. Century Masonry and Waterproofing offers basement and crawl space waterproofing services in Sussex, Warren, Morris & Passaic County in New Jersey & Monroe County in Pennsylvania, including: Mt. Pocono, Stroudsburg, Delaware Water Gap, Dingman's Ferry, Milford, Phillipsburg, Hamburg, High Bridge, Dover, Sussex and surrounding NJ and PA areas. Contact us today for a free basement or crawl space waterproofing estimate!